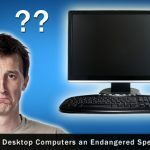 Are Desktop Computers an Endangered Species? World of Technology has been searching for faster processors, ever since the first processor was launched and integrated in personal computers. The reason is quite simple! Nowadays people want to do things beyond some lengthy calculations and data saving processes. You know, what should be the expected speed of processor if the users’ intention is to edit video clips or enjoy playing high-graphics games. The biggest competitors in the processors are Intel and AMD, who have been developing and commercializing faster computing processors according to time’s requirement. Still, we have to say that AMD is placed second when listing out Processor manufacturers and Intel gets the first priority as they are manufacturing more x86 based processors when compared to the rest. AMD received a big hit when Intel launched fourth generation processors codenamed Haswell in Computex 2013. However, now, it seems that AMD is planning something big in order to defeat Intel in processor manufacturing field. 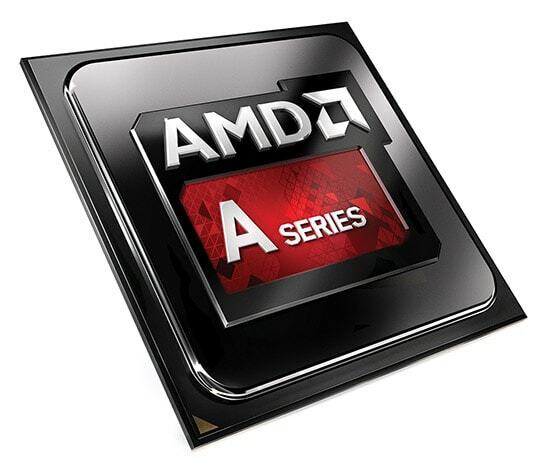 Few days before, AMD announced 2013 Elite A-Series APUs for desktop based Personal Computers. This processor series is named as “Richland”. For sure, AMD Richland processors are made for doing things in your PC never like before by enhancing the processing speeds in a great extent. Following the first showcasing event at Taiwan, AMD has launched these APUs in Bangalore as well. Our founder Rajesh Namase was a part of this event, where the company showed how these APUs can enhance PC Performance as well as Gaming experience. The company added that APUs in this series will be much enough for various processes like photo editing, high resolution video streaming, Data center and cloud computing management, web based works accompanied by seamless support for high-end games. APU simply means a pair of GPU and CPU packed together. In this case, an Accelerate Processing Unit will be having an AMD Based Processor and a Graphical Processing Unit. Around 4 models were announced in Elite A-Series, offering decent processing speeds. Four of these processors are Quad Core based ones and offers speeds ranging from 3.5 GHz to 4.1 GHz (in base modes). These APUs are also loaded with a decent speed of GPU as well, making it a good solution not only for gaming but also for various productivity options that we mentioned above. Hence, these APUs are expected to be a rival for Intel Haswell processors, which were announced in Computex 2013. Top star in the event was AMD’s new FX Based Processors, which are expected to become the fastest processors in current market. According to the company’s claims, these processors have speed of 5 GHz. This 5 GHz processor is an updated version of FX Processor of AMD. Two models were announced at the event, FX-9590 and FX-9370, which offer speeds of 5 GHz and 4.7 GHz respectively. AMD says that these processors can show such speeds when they are in Turbo Max mode and will offer speed of 4.7 GHz and 4.4 GHz respectively in base working mode. These devices also seem to be consuming more power, around 220 Watts, which is almost double of previous series. Both of these processors are built using Piledriver architecture. The mentioned architecture comes in unlocked mode by default and offers complete performance for overclocking stuff. We must say that these processors will be enough for a serious gamer or a professional video editor requiring a very high performance to work. According to the reports, AMD’s latest APUs are mainly developed for powering desktop devices but are also expected to be coming in gaming and multimedia devices like Microsoft Xbox One or Sony PlayStation 4 in future. The economy but satisfying specifications also make it fit for powering latest notebooks. As we hope, APUs will be providing a good performance for notebooks as well. These reports indirectly say that AMD is trying to dominate the PC industry by introducing such processors into popular devices in a truly affordable price when compared to Ivy Bridge ones. 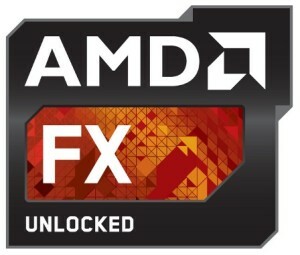 In the mentioned Bangalore event, AMD had announced the availability of FX Series Processors, offering 5 GHz processing speed in turbo max mode. Around three notebooks will be available soon in market stuffed with the mentioned processor in it. The major ones are as follows. These devices come with a decent specification set, which makes a good choice for multi-purpose notebook with high-performance. Still, we will have to say that AMD is aiming gaming through the FX Series by offering such a high speed, which can attract gamers to it. By introducing these processors, AMD is about to challenge Intel’s last Haswell series, the fourth generation ones from Intel. When compared to a gaming oriented FX Series, AMD Elite A-Series APUs are expected to rock the stage as they can impress multi-purpose devices like notebooks and different communities rather than becoming a gaming oriented one. Anyhow, let us see the users’ impression when manufacturers commercialize notebooks and computing devices with these APUs and processors. amd it’s a great brand. it’s wonderful performance for games. i used amd processor lot of years till now. AMD is a good brand, I like its graphic computation. However intel has a big market than AMD because most of the software’s are in accordance with intel and because graphics of AMD are good, its heat desipation is also more. I have been using an AMD for few years and have loved the features it has provided me with. I love the gameplay on this processor and now a 5Ghz is a great add.. I simply love this processor. Wow AMD is doing really good and that 5GHZ processor will be a beast cant wait to get my hands on one . AMD processors are the best. I have been using it for few years and now an addition of a 5Ghz processor is really awesome. AMD processor is really very good. Recently I purchased a new computer AMD . it is more fastest and very accurate.